We spent a day riding bikes in to Mars-like Atacama Desert. 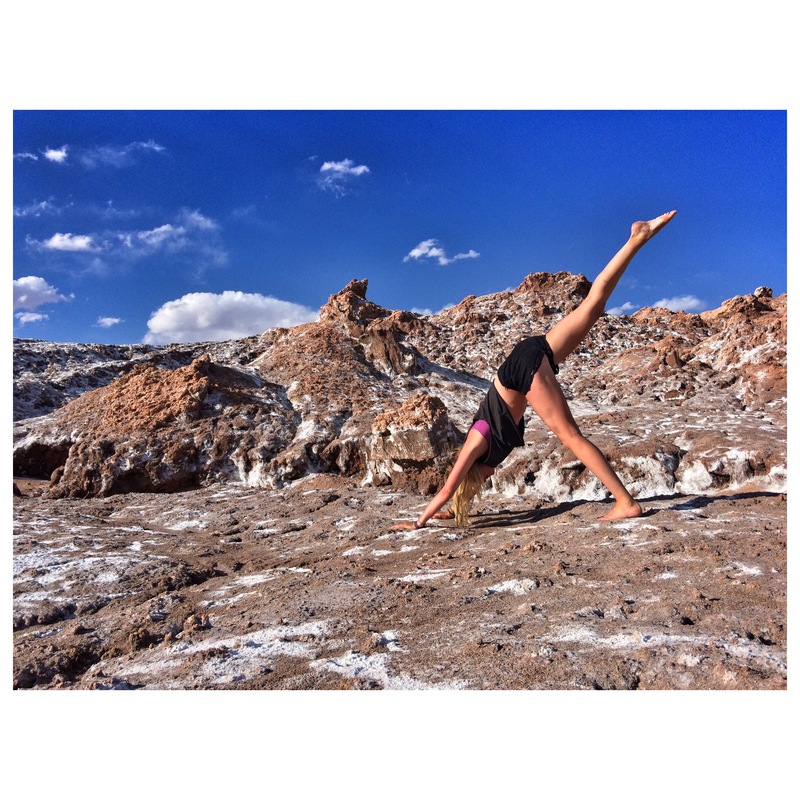 This is me in a somewhat awkward [hands and feet should be farther apart] one-legged downward dog in the Valle de La Luna. This moon valley seriously resembled a far away planet. With the red soil and salt scattered across looking like snow, we loved exploring this region. Craters and massive rocks to climb with breathtaking snow-capped volcanos in the distance, what a place. Considered the driest place on the Earth, it was wonderful to experience something so different so incredible.